"What is your approach to legal fees?" I know that people who face divorce often don’t have extra money. If I were part of a large firm, I would have to charge a small fortune just to cover my overhead. But as a small firm, my law practice is lean and mean. In addition, I try to come up with ways to solve your problems so you don’t need to spend a lot of money on legal fees. "What will my entire divorce cost?" I know this is important to you – and it is to me, too. To avoid paying a retainer or to keep control of your divorce, you may want to consider my Coaching Services>. Or, if you choose to retain me on an hourly basis, once I know what your divorce involves, I will then give you a ballpark figure of your expected costs. 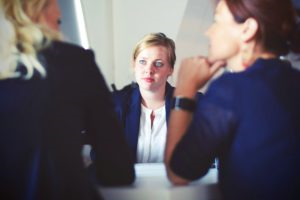 Here’s the important bottom line: the cost and time required to finalise your divorce are the direct result of how quickly you and your former spouse agree on the legal matters that we must address. The sooner you agree, the sooner your divorce is final and the more money you keep for yourselves. The longer it takes to reach agreement – or, if we have to go to trial – the more money you give to the lawyers. I will estimate costs for you in stages. As we prepare to enter the next stage of your case, I will tell you what that stage is likely to cost. Further, I will not do anything that will cost a lot of money without first discussing it with you. I’ll do my best to make sure you don’t face any financial surprises. If your case does not go to court, the cost could be up to $10,000, and sometimes more. If your case goes to court, the cost will be at least $10,000, and possibly over $25,000. If your case goes to trial, the cost will be at least $50,000. "Many lawyers charge for photocopies, postage, and the like. What do you charge for incidentals?" I do not charge for incidentals. You will never receive a bill from me that includes photocopies, faxes, local couriers or postage. "Many lawyers charge a special fee or a minimum fee for court appearances. What do you charge for court appearances?" Many lawyers charge $750 or $1000 minimum charge for court appearances, or raise their hourly rate while they are in court. I do not do this. When I go to court on your behalf, you pay for the actual time I spend on your case, and not a minute more. And you only pay my ordinary rate. "Many lawyers charge minimum times for telephone calls and letters. What do you charge for telephone calls and letters?" Many lawyers will charge a minimum of 0.3 hours (18 minutes) for every letter they draft and 0.2 hours (12 minutes) for every telephone call, even if they spend only 1 minute on the phone or writing a letter. I do not do this. You only pay for the actual time I spend, rounded to the nearest tenth of an hour. "Do you accept legal aid?" No. 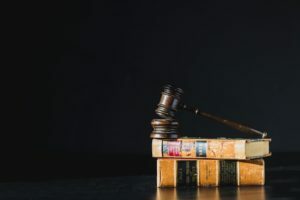 The unfortunate reality is that with legal aid, it is almost impossible to serve a client properly given the limited number of hours allocated to a case. "Is there an initial fee?" If you ask me to represent you, I request that you give me a retainer and sign my agreement so I can start working on your behalf. The amount of the retainer will depend on the complexity of your case, but is a minimum of $3,000. If it’s more convenient for you, you can charge my retainer on your Visa, MasterCard, American Express or Interac. "How do you handle the money I give you?" I hold the money you pay me in a trust account. Your money doesn’t belong to me until I earn it by providing legal services – or pay expenses for you. I ask for a retainer at the beginning of your case to make sure we have the money available when we need it. This takes a lot of pressure off you and me. At the end of your case, I will return to you any money you have paid that I still hold in trust. Every month I will send you a bill. On this bill, you’ll see a detailed breakdown of the time I worked on your behalf and exactly what I did. I pay this bill from the money you gave me as a retainer. When I use most of your retainer, I’ll ask you to add money to this account to cover my ongoing services. "Do you offer free consultations?" You get what you pay for. A lawyer who offers a free consultation will be concentrating on signing you up as a client, rather than concentrating on helping you. When you come in for a consultation with me, I want to concentrate on helping you and giving you good advice, rather than spending time selling myself. I can only do this if I am not worried about getting a return for the time I spend in the consultation. So, I charge my regular hourly rate for the consultation. A consultation lasts about an hour. "But how do I know whether I want to hire you without going for a free consultation?" You don’t. When you go to a restaurant, you can’t order a free appetizer to see if you like the food. Similarly, you can’t get quality legal advice without paying for it. If you are concerned about the quality of my services, I urge you to check what my clients say about my divorce services. To avoid paying a retainer or to keep control of your divorce, please also consider my Coaching Services.